I am trying to print this piece I made. It looks as though everything is right until I put in in my print program and the lettering doesn't print right. I can't figure out what I did wrong. I got it to the point of showing letters, but they are outlined. How do I make it solid? Try with file https://drive.google.com/file/d/0B7t43CPM6VA-RURVZDg0NGhuTEk/view?usp=sharing (I'll delete it from my drive at Oct 28). Combined all text meshes together. 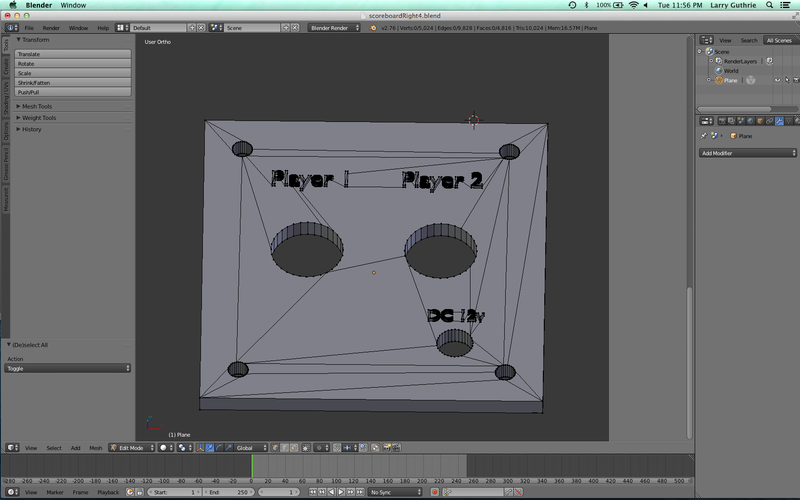 Extruded text meshes on Z axis. 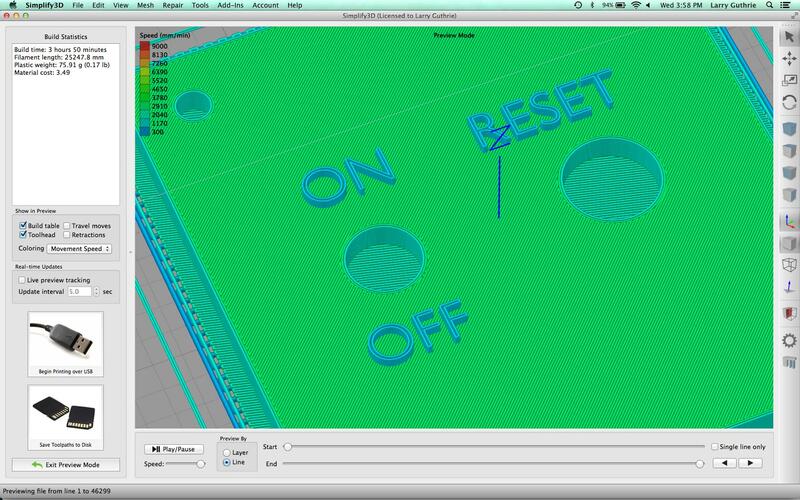 Did the boolean modifier to carve the plate. Applied the modifier to the plate. Not the answer you're looking for? 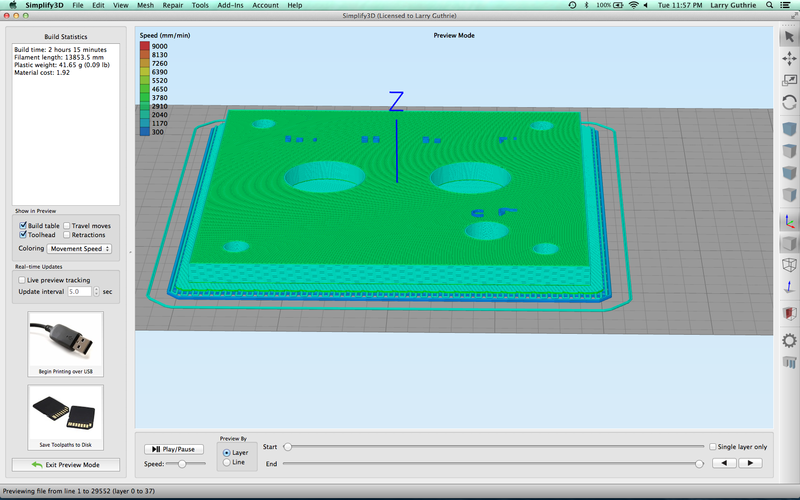 Browse other questions tagged modeling 3d-printing or ask your own question. 3D print tools: how can “too thin” warning be only on 1 face? How to make material from multiple objects appear as one. Ignore interior faces?